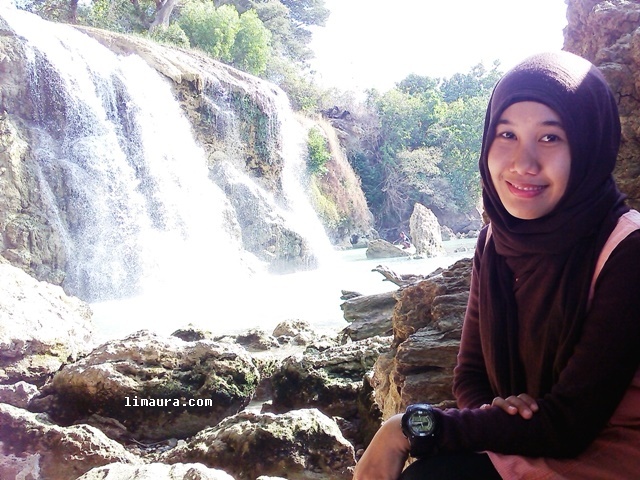 Reached a Half Part of Madura (North Sampang) - Lisa Maulida R.
Yeah! We did it! We make it! Oh god, that was a long trip that must be passed because we planned it.. Began from Surabaya (my town), we went to Bangkalan by motorcycle via Suramadu bridge. After we breakfast nasi campur Nya' Lete' in Bangkalan city, then some friends came, we began trip with Bismillah. That was my first one day trip, rode motorcycle with very long way. 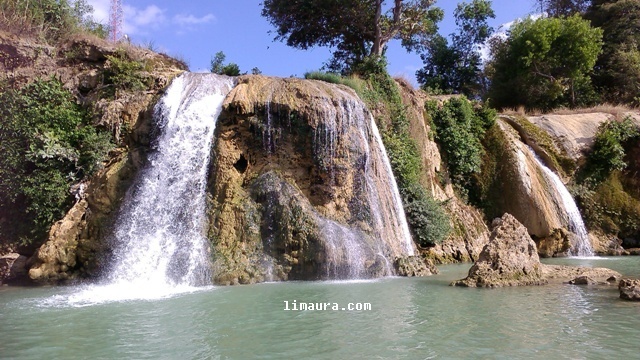 Our main destination is "Toroan" waterfall. 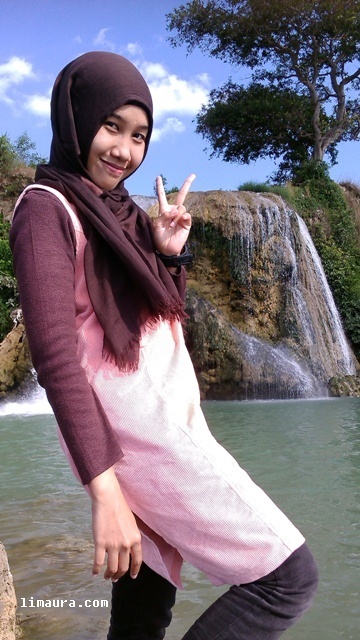 Why Toroan waterfall? What do attracted me to go to there? Toroan waterfall is one of the unique waterfalls where this waterfall is facing the Java Sea directly. The water comes from a source and flows directly into the sea. And I'm so excited to immediately see. Our main destination is Toroan waterfall but our leader decided suddenly to stop temporarily visited "Kera Nepa" forest. Kera Nepa forest located right on one fourth of the way between Bangkalan and Toroan - Batioh, Banyuates, North Sampang. He so curious about this place and did not miss the opportunity to visit when we passed through it. So, we followed him. Along the way, from the main road to the Kera Nepa forest, we were spoiled with a view of mangrove species Nypa and the river that extends towards the east. It was so beautiful. We must continued to ride a motorcycle on the road that has been provided and about 15 minutes later we arrived at Kera Nepa forest. We park our motorcycle and walked. And oh my god! That was a beautiful beach with smooth sand and light blue sea. The beautiful landscape there make us stayed longer than we planned. The weather was very hot because the sun began to rise. And we continued the trip. 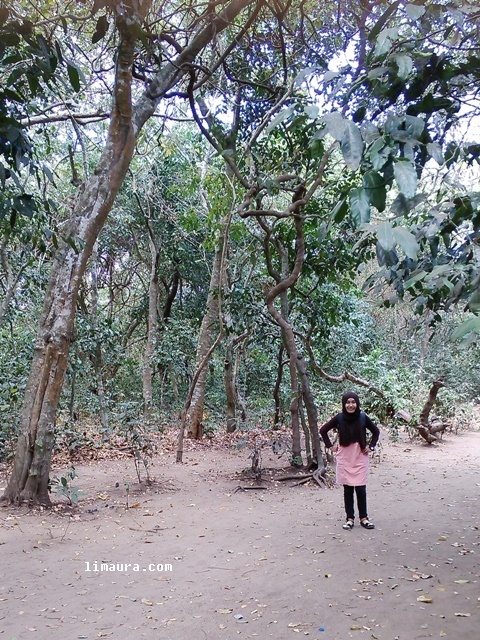 We walked to Hutan Kera Nepa. Why this forest called Kera Nepa? The species that dominates grow in the forest is Nypa (Nepa) and forests inhabited by several families of monkeys (Kera). So, local people called Kera Nepa forest. After we were satisfied to see how amazing the beach and forest Kera Nepa, we continued our journey to the east, to our main destination : Toroan waterfall. And you know, that was a view which totally flabbergast. Am I too excessive? As I have mentioned earlier, Toroan waterfall is unique because this waterfall facing the Java Sea directly. The water comes from a source called "Somber Pajung" and flows directly into the sea. 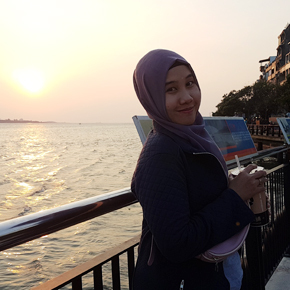 So, when we take pictures, we have two backgrounds : waterfall and Java sea. It's beautiful, right? Then I was thinking, why Kera Nepa beach and Toroan beach has different contours? Though both of them are located in the northen Madura. 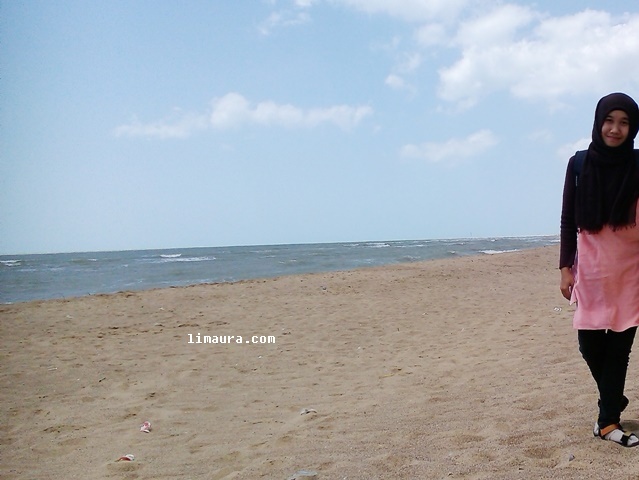 Kera Nepa beach with smooth sand while Toroan beach with hard stone. Would you help me to answer it? Look at my face, look so tired. Of course we tired, so tired. But all fatigue replaced with this amazing view. And I'm so proud because this is Indonesia!